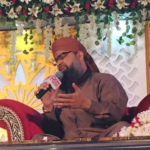 1-Alhaj Allama owais raza qadri. 2-Allama Alhaj ilyas raza qadri. among them the most favourite is Alhaj Allama owais raza qadri.He is my most favourite personality.His naat is very beautiful and heart touching.i am always listening his naat.i have hope of that an anyday live see him.and meeting with him.If i will can this,so i think i am rich own me.but don’t know,that can do it.yea allah!! !you fill up my hope!! !